This measurement system complies with the requirements of JIS B 7761-1,2, a standard for measuring and evaluating exposure to hand-arm vibrations caused by hand-held tools. The system allows simultaneous measurement for both hands. 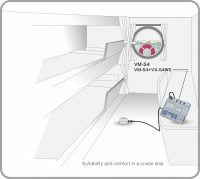 This measurement system allows measurement and evaluation of vibrations occurring in crew and passenger accommodation sections of ships, to evaluate suitability and comfort according to ISO 6954 and JIS F 0907. 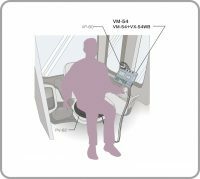 Evaluate exposure to whole-body vibration in transportation vehicles etc. This measurement system allows measurement and evaluation of exposure to whole-body vibrations occurring in transportation vehicles, as specified in the ISO 2631 series and JIS B 7760 series standards. 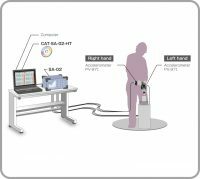 This measurement system allows measurement and evaluation of exposure to hand-arm vibrations due to the use of hand-held tools, according to the ISO 5349-1,2 and JIS B 7761-1,2 standards.